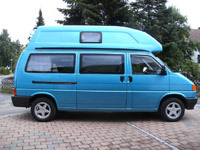 Circa 1993 the VW Westfalia T4 Transporter California Tour model was introduced. 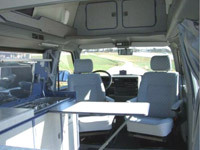 The Westfalia California Tour was similar to the California Coach but was based on the long wheel base “short nose” VW T4 Transporter (3.32m). 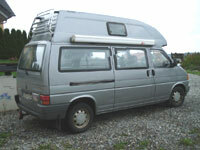 The Westfalia California Tour was available in hightop roof version only. 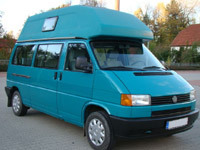 The VW Westfalia California Tour Camper was available in 5 colours. 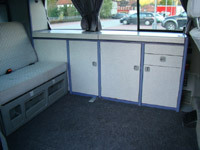 The Volkswagen Westfalia California Tour camper had light grey furniture with a blue speckle finish and blue edging. 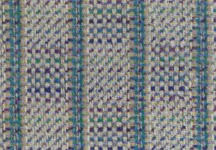 The upholstery had a grey / blue patterned woven fabric. 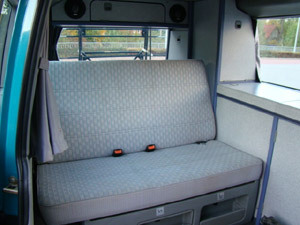 The upholstery material in the VW Westfalia T4 California Tour camper for driver, passenger and rear seat/bed was a grey flat woven fabric with blue stripes and pattern known as “Flockwürfel” which translates to something like “Flock cubes”. 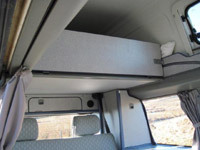 The curtains for sides and rear in the VW Westfalia T4 California Tour camper were grey. 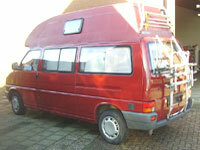 The high top roof outside finish for the VW Westfalia California Tour Camper is in the same colour as the vehicle. 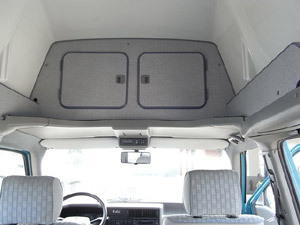 The inside headroom of the vehicle with hightop was 205 cm. Lockers left and right in hightop front. 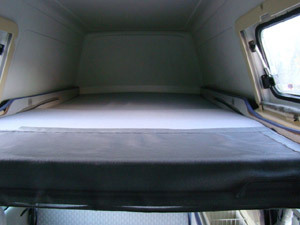 Upper bed in hightop is 120 cm x 109 cm and bed cushion foam is 6.5 cm thick. 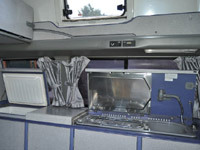 Two opening side windows in roof (one on each side) with mosquito nets and roller blinds. 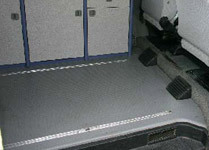 The flooring in the rear of the VW Westfalia T4 California Tour camper was a hard wearing grey PVC material. 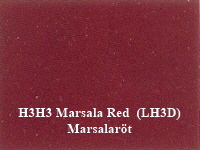 The step is made from black plastic. 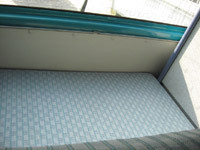 Velour carpet floor lining in drivers cab. 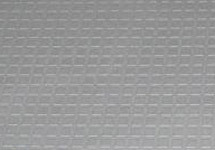 Door interior trims made from grey plastic. 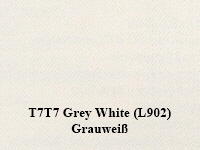 Length - 5066 mm (long wheelbase). Clear glass windows in rear living area. Sliding window (bonoplex double glazed) in front left above kitchen opposite the sliding door. 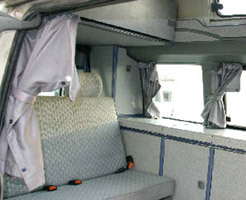 Grey curtains all round for the living and cab area. 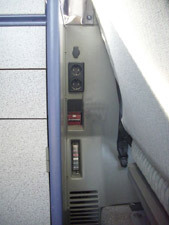 220 volt External CEE Hook Up socket on the outer wall at the rear left with one internal outlet socket in living area and safety trip cut out (FVLS 0.01A). Hook up adaptor cable is included. Leisure battery 12V 80 Ah (maintenance free) with split charge relay for equipment in living area (freezer / fridge etc). Charged by alternator or battery charger. Alternator 90 Amp (or higher capacity for 5 cylinder engines). 12V socket in living area. Fuses for electrical equipment in living area. 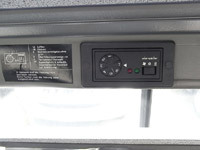 Central electronic control unit in drivers cab above the mirror with LCD display for outside temperature, charge level of the batteries, operating status of the cool box / fridge, freshwater / waste water tank levels, push button adjustment for cool box / fridge temperature. 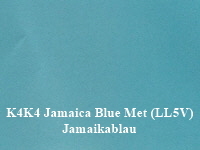 Halogen headlights with range adjustment. Warning light for hand brake, brake circuit failure and brake fluid level. 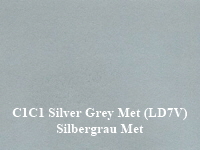 Windscreen wipers with intermittent, two speed and wash / wipe functions. Two 11 Watt transistor lights. 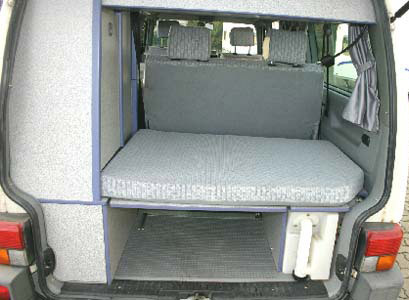 Two person seat bench that slides and folds to make a double bed in conjunction with rear bed cushion. 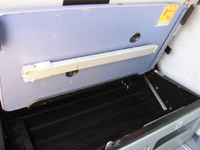 Rear seat bench has one three point automatic safety belt and one lap belt automatic safety belt. Preparation for acceptance of headrests in rear seat. 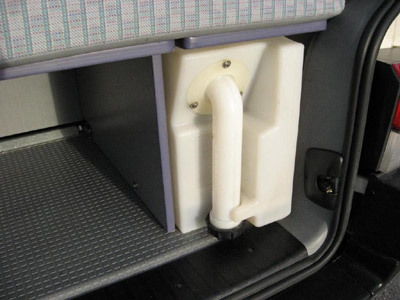 Storage compartment under the seat bank. Three storage compartments in the seat bank front. 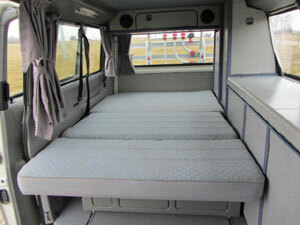 Double bed is 194 cm x 117 cm and bed cushion foam is 8 cm thick. Wardrobe on the left hand side. Storage cabinet at the rear left hand side. Roof storage locker in the rear with a mirror. 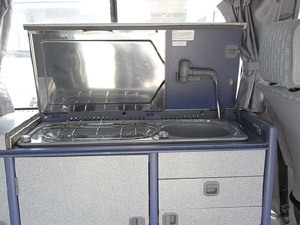 The kitchen cupboard is opposite the sliding door with a sink / cooker combination with an adjustable cover, cutlery drawer and storage for tableware and provisions. Spirit cooker with two burners (performance with strong flame approx 1100W, consumption at rated power approx 0.27 litre / hour). 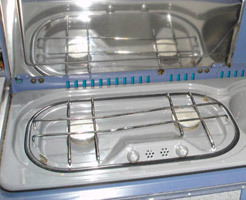 Option to have gas cooker at extra cost. 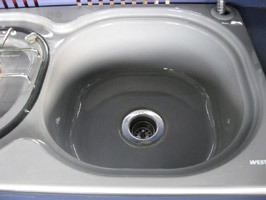 Sink dimensions 27 cm long x 27 cm wide x 12 cm deep. 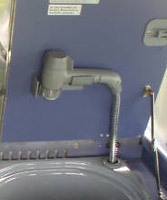 Finished in enameled steel with single tap (with switch for water pump), flexible hose, and adjustable head for jet and shower. Removable table (72 cm x 40 cm). Stored in rear seat bench. Storage cupboard between cooker and fridge. 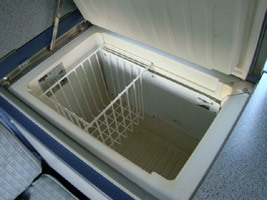 40 litre Electrolux compressor fridge. Filled using a rotating neck at the rear. Emptied outside under the vehicle. Cleaning opening on tank. Freshwater tank has a submersible pump. Freshwater line with separate emptying. 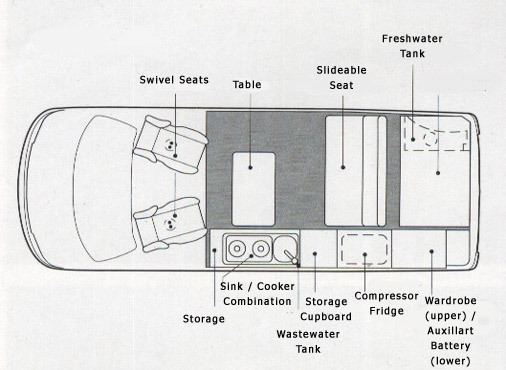 27 litre wastewater tank (frost protected inside vehicle). Emptied using tap accessible in kitchen cupboard. 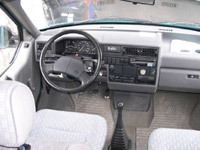 Adjustable outside mirrors with drivers side flat and passenger side convex. Sliding door on right hand side to access living area. 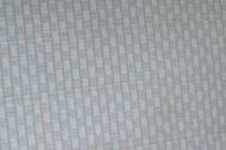 Heated rear windscreen with rear wash wipe. 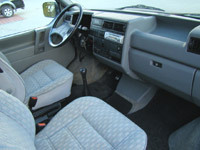 Two front swivel seats with armrests and height adjustable head rests. Height adjustable automatic three point safety belts. Speedometer with resettable mileage trip and analogue clock (rev counter and digital clock with automatic gearbox). Fresh air supply with 4 speed fan. Two swivelling and folding sunvisors. Make up mirror on passenger side sun visor. Inner light (with separate reading light). 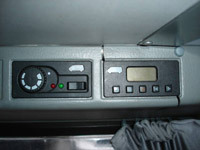 Locking storage under dashboard on right hand side. 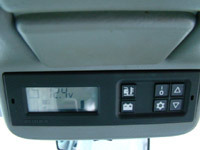 Open storage under dashboard on left hand side. 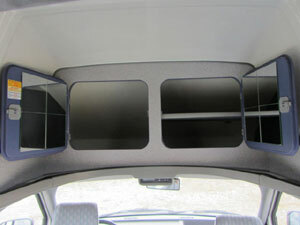 Storage trough in the dashboard on the right hand side. Grab handle in roof frame on the right hand side. 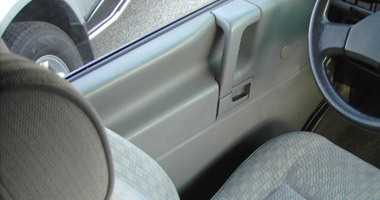 Storage pocket on passenger door. Child lock on sliding door. Floor heating with plastic safety cover. Roof inner cladding with integrated curtain rails. Radio suppression kit to prevent interference. VW Westfalia T4 California Tour front and rear logos. 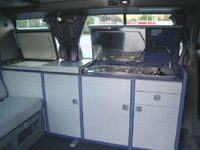 1993 VW Westfalia T4 Transporter California Tour Camper Sales Brochure Prospekt (4 Pages Colour). Dec 1993 VW Westfalia T4 Transporter California Range including Tour Camper Sales Brochure Prospekt (32 Pages Colour). 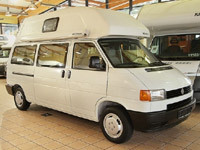 1993 VW Westfalia T4 Transporter California Range including Tour Camper Technical Information Prospekt (4 Pages Colour). 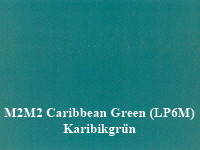 Jan 1993 VW Westfalia T4 California Tour Accessories Zubehör Catalogue (10 Pages Colour). Sept 1992 VW Westfalia T4 California Tour Price List Preisliste (4 Pages Colour). Feb 1993 VW Westfalia T4 California Tour Price List Preisliste (4 Pages Colour). Jan 1993 VW Westfalia T4 California Tour Accessories Catalogue Price List Preisliste (4 Pages Black and White). July 1993 VW Westfalia T4 “The New Radio Generation” Alpha, Beta and Gamma Information and Pricelist Preisliste (4 Pages Colour). Jan 1994 VW Westfalia California Coach, Tour, Club Price List Preisliste (4 Pages Colour). 1993 VW Westfalia T4 California Coach, California Club, California Tour Magazine Advert (2 Pages Colour).